Well this weekend I finally had the chance to take my 4 year old son for his first overnight walk. This also gave opportunity to use our recently acquired NatureHike Star River 2 tent. A short review in lieu of further testing, and in mild conditions to date, but I am so far very impressed with this tent. Build quality appears excellent, with the only immediately obvious design flaw the lack of any means of locate the cross pole on the fly; meaning it will likely shift, rub or wear here if exposed to sustained bad weather. Weight is 2kg including footprint. Fly material is 20D silnylon. Not bad for $170. Ron Bell at MLD did a test on the fabric of a made In China Trailstar copy. Did not mention the brand but some called it a 3f , Ali Express had them unbranded . The fabric is described in the ads as the MLD is , however Ron's tests proved otherwise. You need to scroll down because I can't get a direct link to it. Thanks, I have learned something today. Have seen that before Franco. I'm not after an expedition tent. This gets me out with my son for the moment, though will be replaced with something quality in a couple of years once our other two kids are old enough to join us. The 3F UL tents are quite high quality, with good fabrics, and also quite expensive. 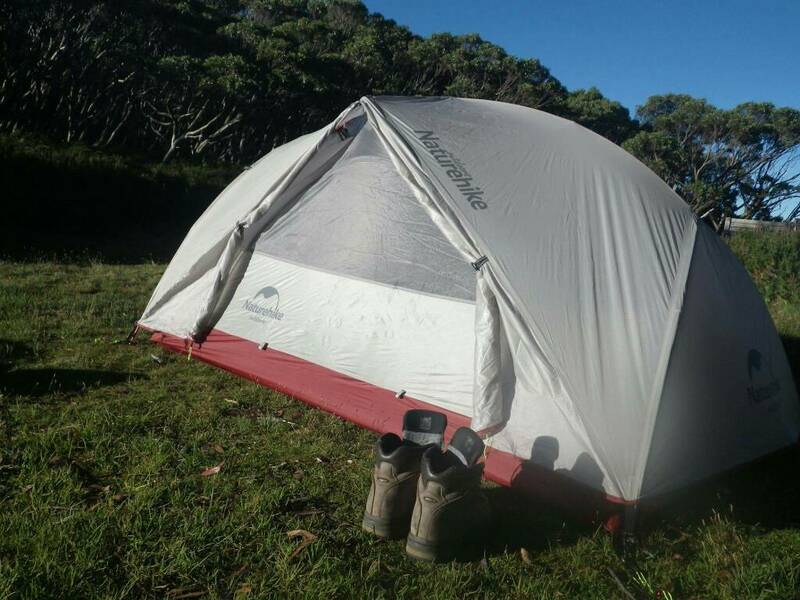 The "copy" (tent designs can't be patented, this is why they mostly all look the same) was from a no-brand aliexpress seller, about $35 for the tent, much less than what other "recognized" chinese brands like NatureHike and 3F are charging. NatureHike begins to get quite some popularity, it is now distributed in NZ and used by Te Araroa thru-hikers for example. Plus on the german UL forum some people tried to replicate the test with the same tent and couldn't rip it with their hands. So I would be wary of what MLD says in its marketing, but I would also be weary of very cheap "too good to be true" products that don't even have a brand (like $35 for a silnylon tarp). Or some brands that seem to do bad designs or poor quality, like "Axeman", their gear is meh, with good fabrics but no quality assurance, meaning some sewing is badly done, and the designs just sometimes don't make any sense. I've also got a Naturehike Star River 2, in the lightweight Silnylon green. My expectations for the Star River 2 were low. It's cheap, it's made in China, etc. However I've been pleasantly surprised. Granted I've only taken it out for overnight hikes, car camping and festival camping. No torrential storms were struck to give it a really good rain and wind work-out. But I have to say - build quality seems pretty good. Poles are good. Clips are good. Zips work well. Stitching is clean. No leaks, no moisture (thus far). It's early days, but so far, so good. I happily recommend it to friends if they're wanting a cheapie relatively light tent for the odd overnight hike, etc. I still plan to get a lighter tent closer to 1.1 kg / 2 person, but in the meantime while I weigh up the finer points of which tent to get, and likely toddler proofness, I have to say I've been pleasantly surprised with the Star River 2. I've bought a few other items from Naturehike - lightweight aluminium structure camping chairs etc, and they've also been really good. I'll look at doing a more comprehensive review when I've really put them hard through their paces. So far, impressed.